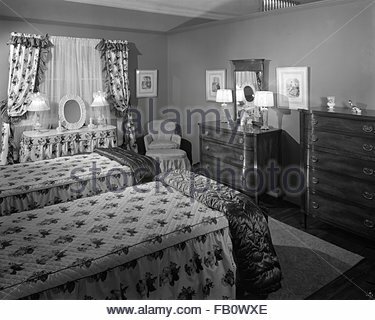 Bedroom furniture at Marshall Field and Company, 1943 Feb. 25. 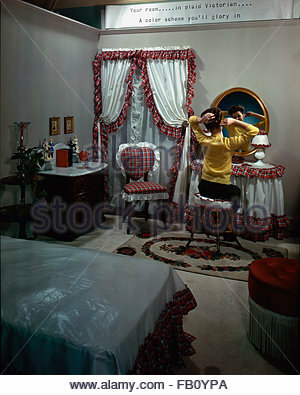 Upholstered chairs, dresser, four-poster twin beds, chintz curtains in room setting at Marshall Field's store. 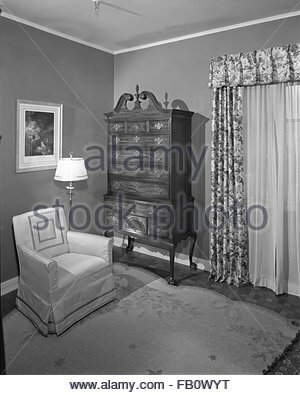 Dresser. 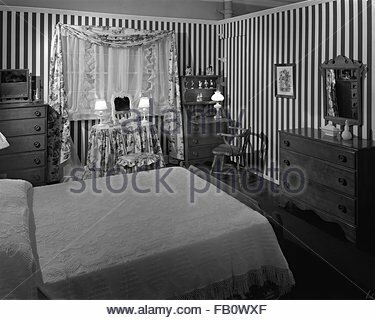 Bedroom furniture at Marshall Field and Company, 1943 Feb. 25. 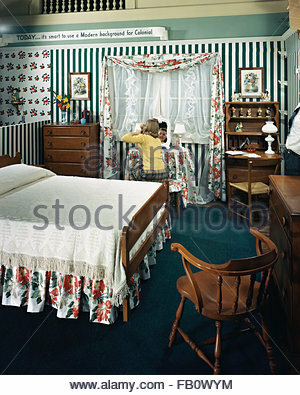 Upholstered chairs, dresser, four-poster twin beds, chintz curtains in room setting at Marshall Field's store. 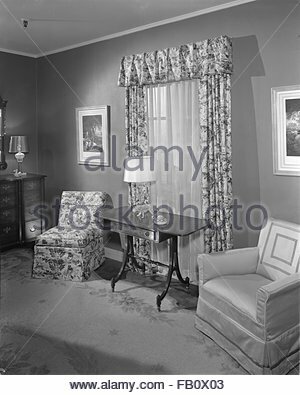 Sitting area. 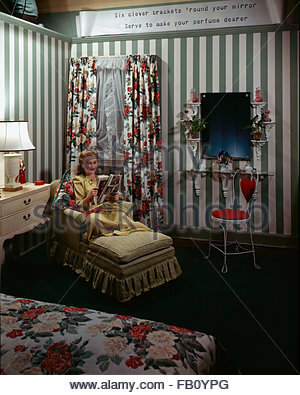 Furniture displays at Marshall Field and Company, 1942 Sept. 23. 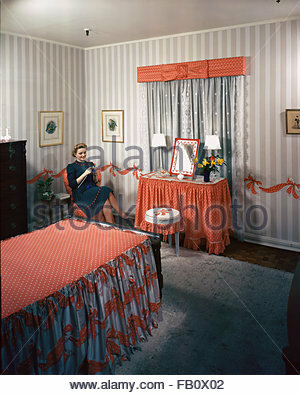 Bedroom. Highway 42 section of Marshall Field and Company furniture department, 1943 Feb. 15. 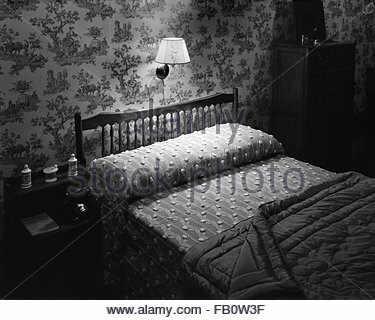 Bedroom. Highway 42 section of Marshall Field and Company furniture department, 1943 Feb. 15. 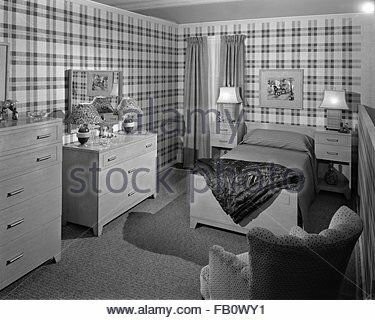 Boys bedroom with plaid wallpaper. 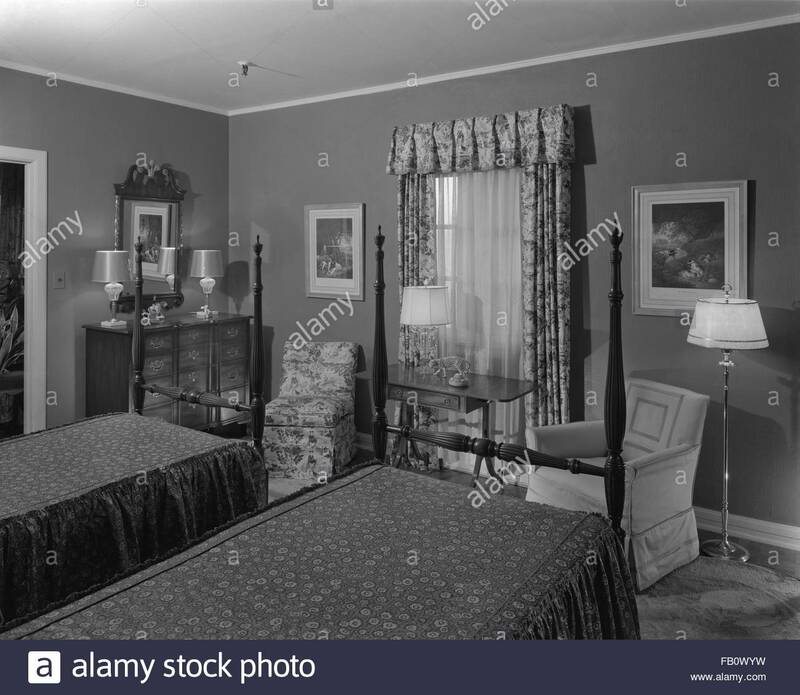 Highway 42 section of Marshall Field and Company furniture department, 1943 Feb. 15. 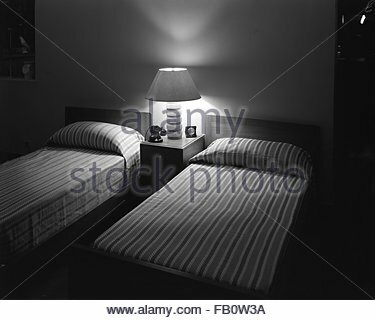 Bedroom with two twin beds. Highway 42 section of Marshall Field and Company furniture department, 1943 Feb. 15. 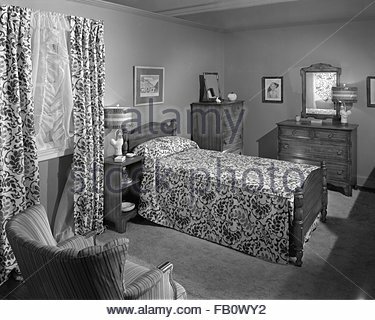 Bedroom with a twin bed.